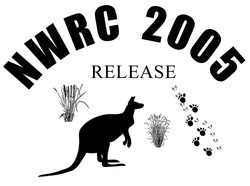 The third National Wildlife Rehabilitation Conference was held at the Holiday Inn at Surfers Paradise Queensland from Wed 31st August to Friday 2nd September 2005. The organising Committee was Kim Alexander, Karen Scott, Gail Gipp, Terry Wimberley, Deidre and Michele de Villiers, Evelynn Coutts, Trish Paterson-Wimberley, Janet Gamble and Eleanor Hanger. Steve Amesbury produced the opening video and Adrian Caneris was Master of Ceremonies. The following is a list of available presentations. Click on the links below to download available presentations from the Gold Coast conference.